Everett Library, located in the heart of Myers Park, houses a collection of more than 60,000 books and videos and approximately 100 print periodicals in open stacks. 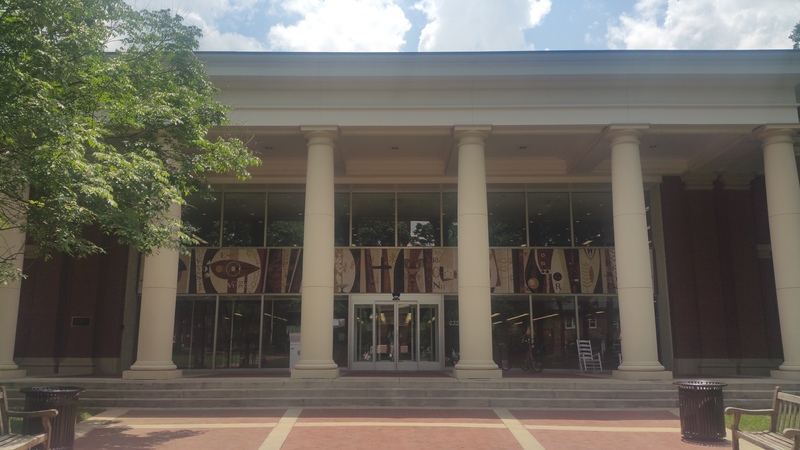 Additionally the Library offers access to a wide range of electronic resources including e-books and academic databases to support scholarship and inquiry at Queens University of Charlotte. Our Special Collections, a series of focused compilations which enrich the scholarship and knowledge of the overall library collection, contain a wide range of historical and archival materials as well as works of art and academic inquiry. The library provides access to three separate computer labs, one of which consists of Macintosh computers. Everett Library is also home to four reading rooms which offer space for private and group study. Everett Library is named in honor of Herschel H. and Cornelia Nesbit Everett. Mr. Everett was a dynamic leader and philanthropist, both in Charlotte and on the Queens University of Charlotte Campus. He served as Chairman of the Board of Trustees for Queens from 1952-1967 and Acting President of the College in 1953-1954.